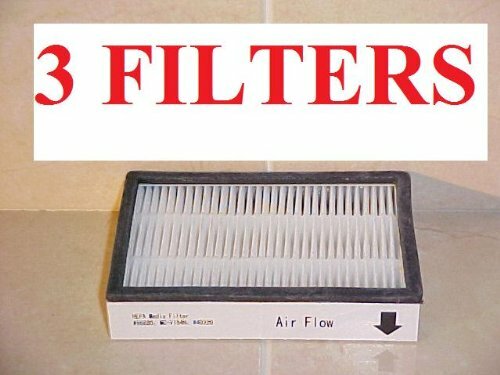 3 86880 HEPA FILTERS For Sears KENMORE Vacuums. Approximate Size of filter: 2 7/8" x 4 1/4" x 3/4"
Utilizes gasket to eliminate air and dust leaks. Eliminates dust, dust mites, pollen, spores, most bacteria and animal dander. Replace every six bags or 6 months.